It’s more than just a trade show. 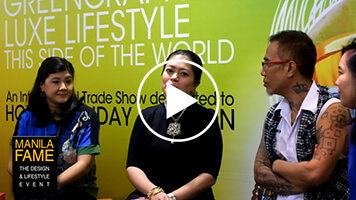 It’s the Design and Lifestyle Event of Asia. 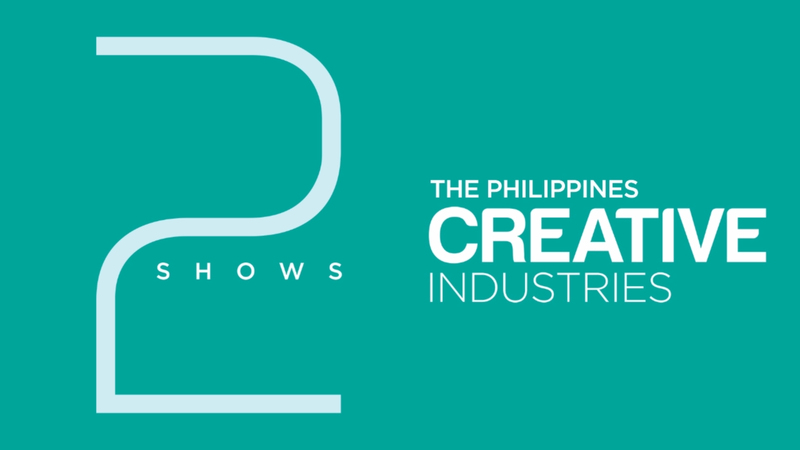 Discover unique and promising products at the 66th edition of Manila FAME! 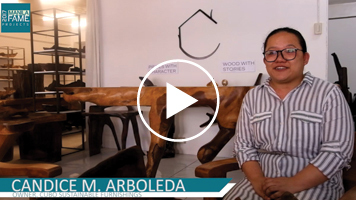 Candice M. Arboleda, owner and designer of Cubo Sustainable Furnishings, shares the company’s scrutinous process of sourcing materials for its products. Women micro-entrepreneurs enrolled in the GREAT Women 2 Project talks about the uniqueness of their products compared to its competitors which manufactures almost similar designs. 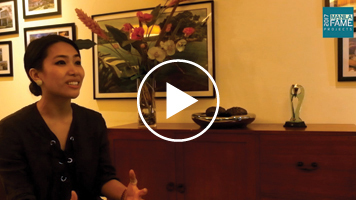 Locale PH Magazine Publisher and Citystate Properties and Management Corporation Vice Chairman Dominga “Ingga” Cabangon-Chua shares her experience collaborating with CITEM for the October 2016 edition of Manila FAME. Rovilyn Mayat-an of Mayat-an Handicrafts talks about what sets the quality of their products above its competitors that manufacture similar designs. 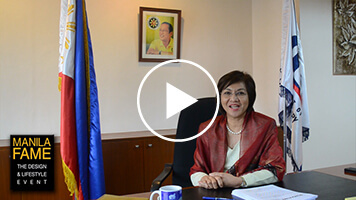 What makes the Philippine products stand out globally? 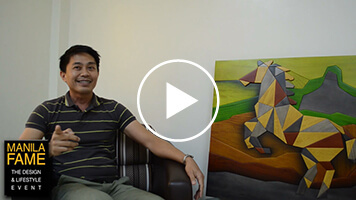 Take it from Miguel A. Prado, President and CEO of Prado Filipino Artisans Inc: “It’s a great pride for us to be able to showcase products made in the Philippines, they [products] really are something which other countries must-have because they’re so well-made and beautifully-designed”. 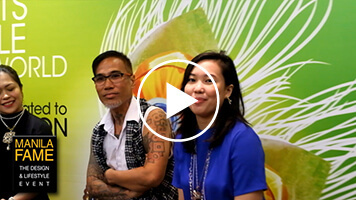 Miguel Lane, Export Manager of Silahis Arts and Articrafts gave a preview of their products for the 65th edition of Manila FAME held on April 21-23, 2017. 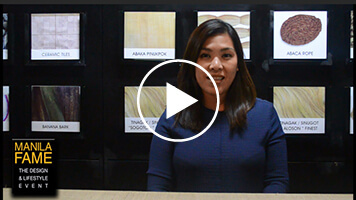 Since the establishment of the company in 1966, the company has been manufacturing and exporting products that emphasize the natural look of traditional Philippine materials. 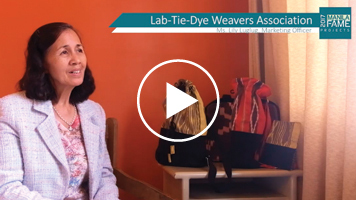 Japan International Cooperative Agency (JICA) Volunteer Makiko Deguchi and Musashino Art University (MAU) Professor Shinichi Ito shares the importance of the Kalikasan Sorsogon project to SMEs in Sorsogon. 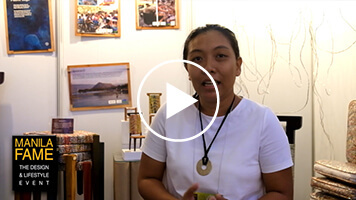 In partnership with the Department of Trade and Industry (DTI) Sorsogon, JICA has tapped MAU interior design students to help local companies develop export-ready products. Got a Big Project? SOURCE AT MANILA FAME for an all-inclusive business solution for your home, decor, interior design, and lifestyle contracts. DISCOVER from the widest range of new, unique, and functional products — finely crafted by soulful artisans and manufacturers. Looking for the best #home, #holiday & #gifts, and #fashion products? 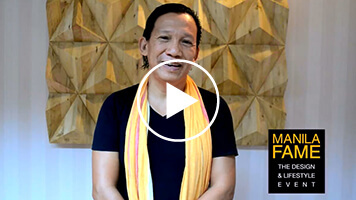 Nelson Sepulveda is a Paris-based Chilean design specialist helping Philippine manufacturers in a product development program focusing on new generation weaves, basketwork, and related wares. 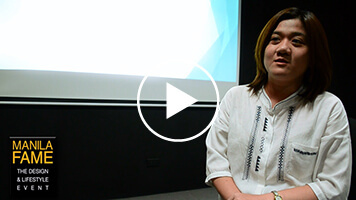 Rosemarie Oamil, Managing Director of Megabijoux, Inc. talks about the reason why exhibitors love Manila FAME. Atty. Stephanie Viola of Creative Arts & Lifestyle Asia talks about the experience of being a first-time Manila FAME exhibitor from Atty. 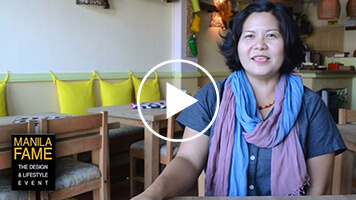 Stephanie Viola of Creative Arts & Lifestyle Asia. 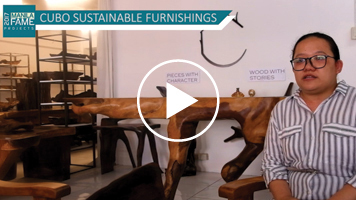 Bong Salazar of Finali Furniture and Home Accessories, Co. invites you all to visit Manila FAME. 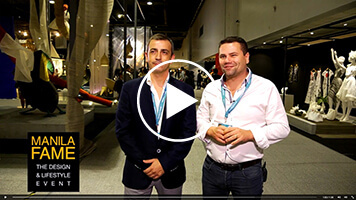 Manila FAME Trade Buyers Miguel Pereira and Fernando Morgado of APIMA (Associação Portuguesa Das Indústrias De Mobiliário E Afins), or the Portuguese Association of Furniture and Related Industries, talk about what makes Manila FAME stand out from other trade shows. For more information, please contact Ms Anna Marie Alzona, Manila FAME Project Manager at amalzona@citem.com.ph. Golden Shell Pavilion, Roxas Blvd. corner Sen. Gil J. Puyat Ave.